I was mostly disappointed in the Black Friday deals that stores put up here in Canada. But, I did manage to find a decent ASUS laptop (strangely enough it wasn't a "true" Black Friday deal) at Bureau en Gros (or Staples) where they had a coupon which took $50 off the anything over $400. 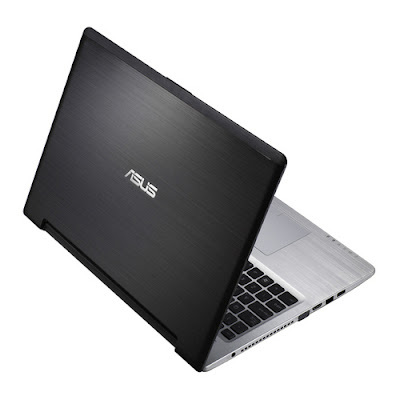 So while not a big savings it did help nudge me towards picking up the ASUS S56CM-SH51-CB laptop. After some extensive research and comparison shopping, I decided to share my thought process. 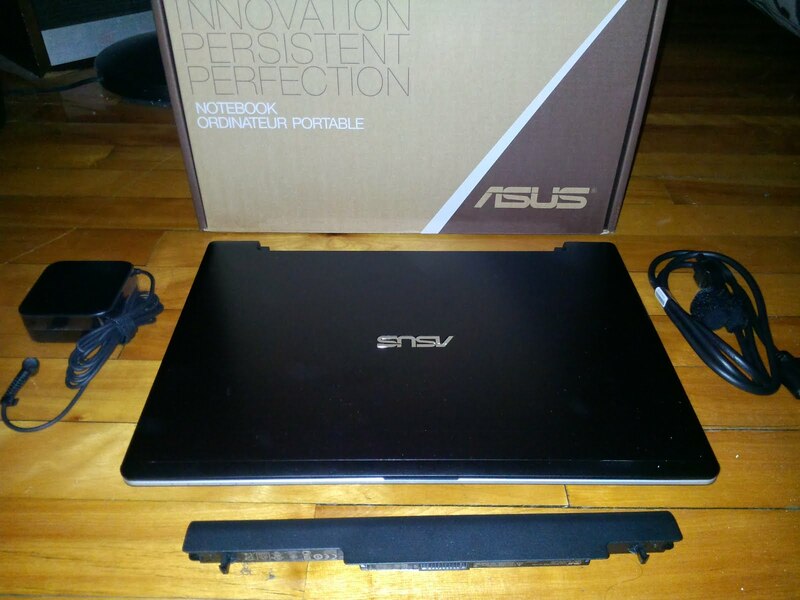 It's been a couple of years since I had a laptop (an IBM Thinkpad), and hopefully this ASUS laptop will serve me better. There are some in depth reviews out there already for the ASUS S56CM-SH51-CB. But, my review is a bit different, since it's based on what I felt was important to my specific set of needs. After some searching it really seemed like I had to sacrifice one of my three major needs/features, and usually it was the video card or price (similar laptops were in the $700-$900 range). The NVIDIA GeForce GT 635M video card was key for me. While not a gaming powerhouse by any means, at least it can play Starcraft 2 and even Skyrim on lower settings with a good framerate. Physically, I like the look of it. The aluminum casing gives it a sleek look and feel. At 15.6" it's not a small laptop (which could be a deal breaker for people who want to carry it around a lot) it has some size to it even though it is pretty light and thin. The speaker was also much louder than I expected which I thought was nice. The SSD Hybrid hard drive, 6GB of RAM and Windows 8 were all welcome features. Also, the optical drive (which does look quite delicate, but similar to the DVD drive I had in my old Thinkpad) was useful to have around, and I used it right away by installing Starcraft 2. These things were not on my list of "must haves", but it's still good to know what I was ready to trade off. The i5-3317U CPU is a dual core processor. 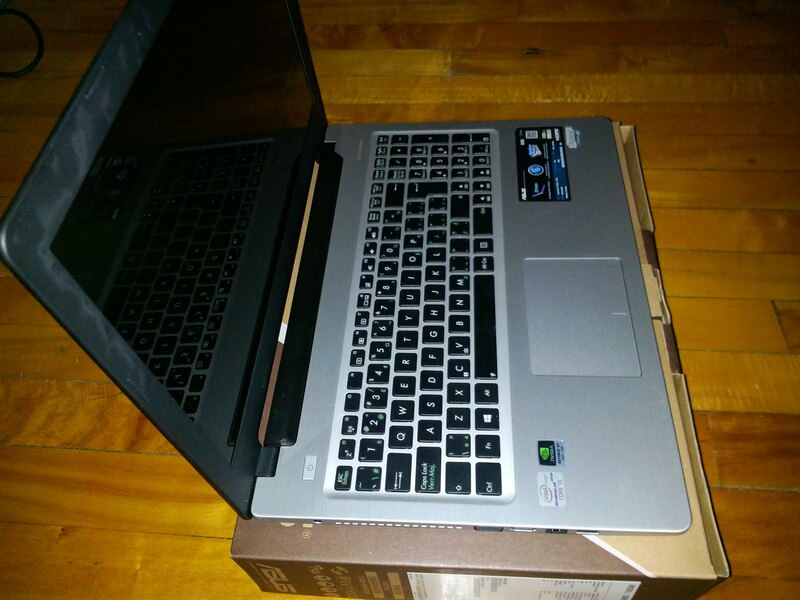 If you need a more powerful quad-core CPU laptop, then this won't work for you. For me this did not matter, since I don't plan on using CPU intensive tasks. For gaming the video card is typically the bottleneck not the CPU. The touchpad was disappointing as it wasn't as responsive as I'd like. The multi touch gestures just don't work very well. Luckily, I'm a mouse user. Battery life is not the greatest. I plan to use it at home mostly and not on the road so it's less of an issue. But, the short battery life will definitely put some people off, since it only has about a 3 hour battery life in the time I've been using it. The display resolution is just 1366 x 768 and that can be a deal breaker for some people—however, keep in mind that this is normal in this price range. It really depends what you need it for. I'm just not that picky about the display; but anyone who is used to a better display will likely feel let down. Overall, not too shabby for a computer in this price range and form factor. In the end, I felt happy with the trade offs that I made for a dedicated video card, a slim form factor, Windows 8 and hybrid SSD hard drive. The low screen resolution and short battery life is what will turn potential buyers away. However, the relatively low price tag of $599 cannot be ignored and was a big factor in my purchase. 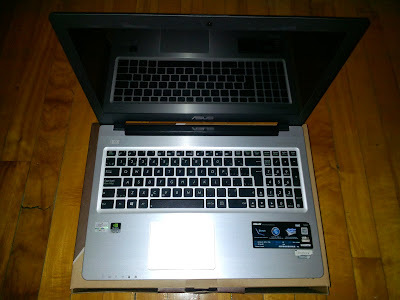 An ASUS laptop (their laptops score well for reliability last time I checked) that can be used for some light gaming, looks good and a good price point was the winner for my needs. At the time, there was nothing else on sale that came close to this setup. That may change in a month, but if it can prove to be reliable for a few years then I will be very satisfied. 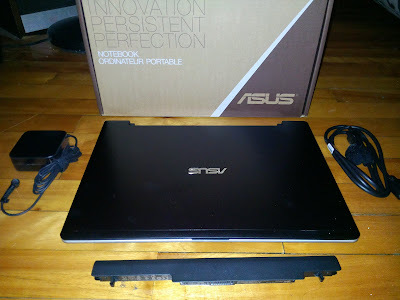 Right now I'm a happy ASUS laptop user. It's three years from purchase, and the laptop is still running pretty well. It's used every day and still boots up pretty quick. Installed Windows 10 on it and it's still a solid laptop for everyday web surfing, watching videos and home theatre uses. Gaming is mostly limited to Hearthstone these days. I'm kind of surprised that laptop specs these days don't seem to be that much better than this one in the same $600 price range (before taxes). Just browsing the usual major retailers around here like Best Buy and Staples, and I didn't see any laptops under $600 with an SSD drive like this one has. 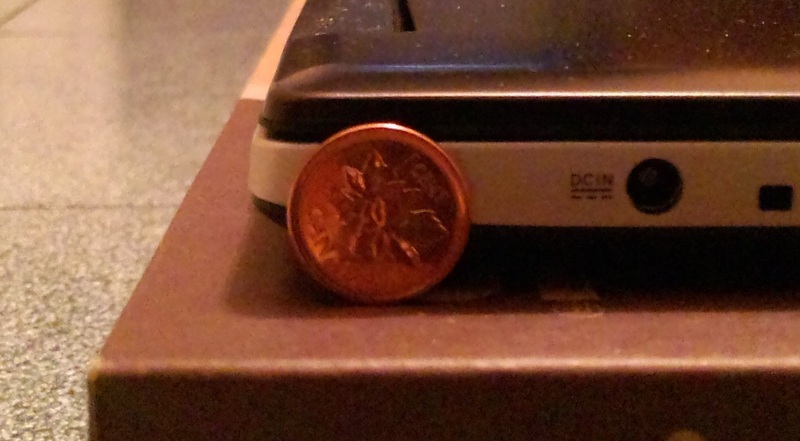 I'm guessing that it might be the Canadian dollar that's really making laptops more expensive than they should be these days. Quick update: I've been able to play Starcraft 2 successfully on low settings with no lag at all (1 vs 1). Haven't played any other games yet, although from the research I've done it should be able to handle other games on low settings too. But, I have no first hand experience yet...Anyone is welcome to enter their experience in the comments. I'll give it a try and report back..I had it unplugged which may have affected the default Starcraft 2 graphics settings. so you run it with battery? if you do so you'll lose quite all the power of the 635! I don't have any more graphic intensive games at the moment, but I do look forward to trying more games and giving the GT 635M a good workout. Hi how much did you bought it for? I found it on best buy at 699$. I'm not sure they have the exact same model at Bestbuy.ca, so just be sure about the model you are looking at. For me it was listed at regular price for $649 at Staples, but I had a coupon for $50 off, so I was able to get it at $599. The weird thing is that the last time I checked, the regular price changed to $699. Yes that's the one I got at Staples, and as far as I can tell it does NOT have built in Bluetooth. Thank you for the reply. I'm still tempted even with the lack of bluetooth, but will wait for it to come back down to $649. is it same for you guys? When I am playing Starcraft 2 for awhile the laptop does indeed get noticeably hotter. It's hard to say if it qualifies as overheating at this point. I agree about the battery life...It's definitely is not the greatest, as I already noted. Thanks for the review. I've been looking for reviews of this model on the internet but haven't found much. I'm actually considering the 14" version of this... S46. 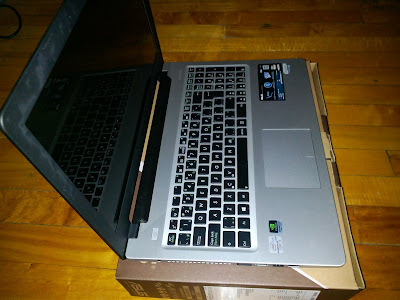 It is so difficult to find a 14" laptop with an optical drive and this one has it. But it's good to know that it is fragile. It's also good to know about the short battery life since I would normally need it for work, where I would need to use it on and off between 8am to 5pm. Have you tried using intensive programs like Photoshop on it? What about multitasking - internet browser, Microsoft Office, with a movie playing? If the 14" model is like the 15" model, I might need to pass on it. Though it's a shame since it otherwise fulfilled most of my requirements which are almost never all on one machine (optical drive, VGA, SSD + big enough HD, i7, dedicated video card). The DVD tray looks fragile, but these days I can safely say that I do not depend on it a whole lot. Again this depends on your needs. Haven't used Photoshop, but I have used screen recording software with Starcraft 2 running at the same time with no real issue. And while playing Starcraft 2, I regularly switch back and forth to my Chrome browser easily (always plugged in though, not off the battery). I haven't multitasked with it more than that so far. Yes, I agree it's hard to find it all on one machine for a decent price. I was quite happy to pass on an i7 processor since I have no real need for it. The dedicated graphics were a huge factor for me. Low battery life is a concern but luckily this ultrabook's battery is removable so you can buy a spare if required and when available. Is it touch screen? Dealers here are confusing me, some say it is, some say it's not. This specific model is not touchscreen. It would have been really nice to have it, but I went in knowing that it didn't have a touchscreen. It says it has Bluetooth built-in? How do you turn it on? I checked in the Device Manager settings and there is no Bluetooth option, so looks like it actually does not have Bluetooth built-in. A year later and it still sells for over $400? That's not too bad. I use it everyday and it doesn't feel slow at all for web browsing, and boot times are still great. I want to give my son a laptop for christmas for school and playing small games. I asked the school what they suggested and Asus was on top of the list. I went on google and now I just finished reading your excellent review on your asus. Is the ultrabook the way to go? It seems light enough for him to carry around. What about something like this? Asus is a good laptop/ultrabook brand (scores high in reliability). The model you mention seems average to me, it really depends on what you are looking for and the budget you have. Made an update three years after purchasing this Asus laptop/ultrabook.